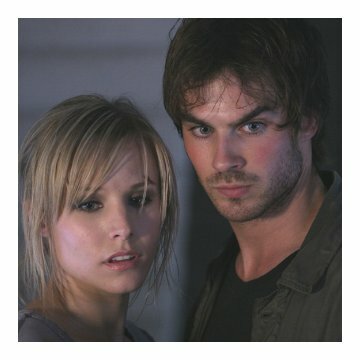 Taglines: You are now infected. Continuity: (At 01:13:00) When Mattie arrives in the servers room, the PC unit it is black with 2 red tapes near it. She turn around and in the background the PC unit it is white with 2 red tapes near it. Then black again. The position of the chair near the table it is changing. Mattie Webber: We can never go back. The cities are theirs. Our lives are different now. The things that were supposed to connect us to each other, instead connected us to forces we could never have imagined. The world we know is gone, but the will to live never dies. Not for us... and not for them. 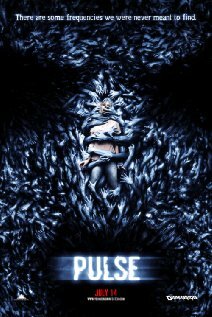 We went to see PULSE yesterday afternoon (got to the theater too late for DESCENT). I have not seen the original KAIRO for comparison. So, it's not the worst movie I've ever seen, and not the best. Yes, it was slow to start and get to the point. But IMO it had a creepy, dark atmosphere (god, if I lived there I'd want to commit suicide in any case), the visuals weren't bad, and it had a few good scares. Unfortunately, it also depended on VOLUME to enhance the scare. If you're more of a gore fan, then it's probably not the movie for you. The movie may not be worth the price of a ticket, but I think it's worth a rental. Eh, I'm just your average moviegoer and don't watch movies to analyze them to death. I even liked The Grudge. That's my opinion and I'm sticking to it.